Union Minister of Agriculture and Farmers’ Welfare Radha Mohan Singh congratulated scientists and officials of the of Indian Council of Agricultural Research (ICAR) along with farmers from across India on ICAR’s 90th Foundation day and award ceremony function in New Delhi today. Singh said the efforts of the ICAR have not only helped India transform from an importing nation to an exporting nation but also provided self-sufficiency and nutritional security in foodgrains. Due to the efforts of our skilled scientists and the hard work of the farmers, the country today has a buffer stock in foodgrain. 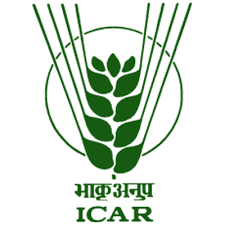 ICAR is playing a vital role in fulfilling the government vision of doubling farmers’ income by 2022. Keeping in mind the suggestions of the Council, the government, besides increasing budgetary allocation, has also created several corpus funds to improve the infrastructure of dairy, cooperative, fisheries, animal husbandry, agriculture market, small irrigation scheme, water bodies management etc. The Minister said a Soil Health Card scheme has been initiated so that farmers can know before sowing the health of the soil in his farm, the kind of crop to be grown and the type and quantity of nutrients to be used. Simultaneously, with the motto of ‘Har Khet Ko Paani’, around 100 irrigation projects are being completed under the Pradhan Mantri Krishi Sinchayee Yojana (PMKSY). In order to ensure better price discovery for farmers, the online platform e-NAM has been started. The government has also fulfilled its promise of providing MSP at 1.5 times and more over cost of production for 14 Kharif crops. Singh expressed happiness and said that due to the techniques developed by ICAR and hard work of the farmers, foodgrain production touched 275.68 million tonnes this year, which is 10.64 million tonnes more than 265.04 million tonnes recorded in 2013-14. Horticulture production has touched 305 million tonnes this year. The country is also moving forward in pulses production and with around 23 million tonnes of pulses production this year, close to self-sufficiency. Due to this, the import of pulses has gone down from 10 lakh tonnes in 2016-17 to 5.65 lakh tonnes in 2017-18, saving the country Rs 9775 crore in foreign exchange. The Pusa basmati 1121 variety of Basmati rice developed by ICAR has helped India earn more than Rs 18,000 crore in foreign exchange every year.  During 2010-14, India earned Rs 62,800 crore in foreign exchange from exports, which rose to Rs Rs 71,900 crore in 2014-18. The Union Minister further said that in order to tide over the problems associated with climate change, 45 integrated farming systems have been developed by including 15 agro-climatic zones. In order to resolve the issue of environment pollution due to stubble burning, it has been decided that for management of crop residue, financial assistance @80% of the project cost will be provided to establish Farm Machinery Banks for Custom Hiring of in -situ crop residue management machinery and financial assistance @50% of the machinery/ equipment will be provided to individual farmer for crop residue management. A comprehensive campaign was initiated by ICAR’s 35 KVKs. An awareness campaign was carried out amongst 45,000 farmers and on waste management activities, 1,200 live demonstrations were done in 4,708 hectare area. The Agriculture Minister said the skill development of students in the Student READY (Rural Enterpreneurship Awareness Development Yojana) programme has now been included for one complete year to attract youth to agriculture education. Besides, Agri services & Business by Harnessing Youth through Agricultural Skills, the one-year diploma course is proposed to be started, which will help young people to access information on agriculture thereby facilitating them to get jobs or start their own business. By coordinating ICAR’s agricultural research, education and advance line activities at a national level, more than 750 start-ups and agri entrepreneurs have been developed, including farmer entrepreneurs in various areas of agriculture. In the agribusiness incubation centres established in 24 ICAR centres, technical assistance is being provided to the entrepreneurs.